Kabelo Mabalane (also known by his stage names Kabelo or Bouga Luv) is a South African kwaito musician, songwriter and actor best known as a member of the kwaito trio TKZee. He is also the co-founder of the SHOUT campaign with fellow muso Danny K - a call for artists and South Africans to SHOUT for a safer South Africa. Kabelo's music career started in 1996 when he met high school friends Zwai Bala and Tokollo Tshabalala at St. Stithians to form the group TKZee. The group arrived on the kwaito scene releasing singles "Take It Easy" and then "Phalafala" which became a national anthem for the December holidays that year. "Shibobo" was yet again another single released in 1998, featuring Benni McCarthy. This was at the height of the soccer fever during the France World Cup, for which South Africa had qualified. The single was produced by Zwai and went on to become South Africa's fastest and biggest selling single ever reaching over 280,000 units. When Halloween hit the streets later that year, the album sold 300,000 copies. The group raked in awards at the South African Music Awards (SAMAs); in 1999 they took home an unprecedented five awards for Best Kwaito Single, Best Kwaito Album, Best Single, Best Video and Best Duo or Group. TKZee scooped SAMAs in 2001 for Best Kwaito single for Izinjazam. TKZee Family's Guz 2001 was a run-away success reaching double Platinum status. Kabelo has since released award winning albums, presented the South African Music Awards and started his own record label – Faith Records. He has opened shows for world famous musicians such as Jay-Z, 50 Cent, Ja Rule and Rihanna. Kabelo also won the 2004 Kora Award for the Best Southern African Male Artist. Along with his TKZee band mates, Kabelo performed at 2010 Fifa World Cup Opening Ceremony. After recovering from drug abuse, he has now found happiness in his healthy lifestyle and his past as a Christian. Kabelo's love for sport emerged when he started to train for the comrades in 2005 and he partnered with Harmony Gold to raise R250,000 for charity . Since 2006, to date, Kabelo has entered and completed a number of grueling races. In 2008 the South African Sports Confederation Committee (SASCOC) chose him to be an Olympic Ambassador. 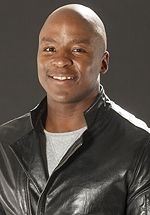 In April 2010 Kabelo was named as the presenter of the multi-sport and lifestyle talk show Sportsnite, on SABC2. At the 30th SAB Sports Journalist of the Year Awards in 2010, he was rewarded with two awards, Best Newcomer Overall and Best Newcomer Television Presenter. In 2005, Kabelo became the first South African celebrity to sigh a three year endorsement deal with Reebok, which included Kabelo's own line of clothing and footwear. In 2012 he joined the e.tv reality competition series SA's Got Talent as a permanent judge, replacing the departed Randall Abrahams. In 2013 he was the host of the Mzansi Magic reality competition series Kabelo's Bootcamp, in which contestants compete against each other in varying physical and psychological challenges with the hope of losing the most weight and conquering their personal trials at the end.